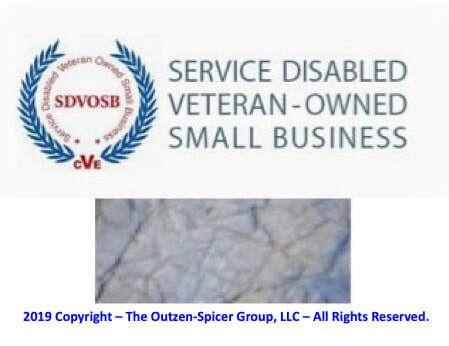 The Outzen-Spicer Group, LLC is a California based Service Disabled Veteran Owned Small Business, specializing in security, emergency preparedness and investigative services. We provide a wide range of specialized services to a nation-wide client base. Our subject matter experts bring a high level of experience and knowledge combined with a strategic approach for the needs of the public and private sector. We strive to partner with organizations to achieve compliance and successful outcomes.